The Ambulante Film Festival, founded in Mexico nearly ten years ago by actors Gael Garcia Bernal and Diego Luna, producer Pablo Cruz and founding director Elena Fortes, will take its traveling film festival north of the border with Ambulante California, which runs September 21 to October 4. Following the Mexican "tour model" of a traveling film festival that screens in 12 states over a three-month period, Ambulante California, a project of IDA's Fiscal Sponsorship Program, will screen in different locations in greater Los Angeles each night of the 13-day festival. The idea is to reach as many diverse audiences and communities as possible-a sort of cross-pollination, says Christine Davila, director of Ambulante California. In many ways the touring festival resembles CicLAvia, the triannual event where selected streets of Los Angeles are closed to motor vehicles for a day and temporarily transformed into dynamic public spaces. "There is something very aligned with that kind of ‘transit through LA,'" observes Davila. "In some cases we are doing a screening for a specific community and we don't really expect too many people to come outside of that community, but at the bigger venues we hope that people will take a chance and go into a neighborhood that they typically don't know well to experience that film, that neighborhood, that communal experience." In the final stretch leading up to Ambulante California, Documentary sat down with Christine Davila to talk about the festival, which is the first edition of what aspires to become Ambulante USA. Documentary: What was the impetus to expand the Ambulante Film Festival and bring it north of the border? Christine Davila: For a couple of years now, the founders of Ambulante have been thinking about expanding the model. They've done showcases and curated sidebars in several different other countries, but this is the first time that we're actually doing the model as it works in Mexico here in the US. We decided that Ambulante California in Los Angeles would be the best way to establish a base. How would you differentiate Ambulante California vs. Ambulante Mexico? In many ways the spirit and the concept remains the same: To broaden the reach of documentary and to reach as many diverse audiences as possible. What I'm finding is that in Mexico it's an international film festival, but because of its Mexican roots, here in the US it is immediately looked at as a Latino film festival. Whether we're a Latino film festival or a documentary festival, I feel like we cover so many niches that we end up being universal and accessible because we are honing in on all of these different elements. Ambulante remains an international window into different perspectives, and Los Angeles really lends itself to that kind of mixed bag. I think the concept of Ambulante allows for the execution to be constantly changing and fluid and adapted to each location, to each specific social and geographical context. Since this is our first year we're going to focus on the outdoor screenings, which I think is a really powerful way to start. Eventually the idea is to incorporate high schools, and perhaps jails and hospitals. A hallmark of Ambulante is its mobility. Where are the screenings going to take place? Every day we're going to be screening at a different place, including parks, plazas, community centers and makeshift spaces created for the screenings. 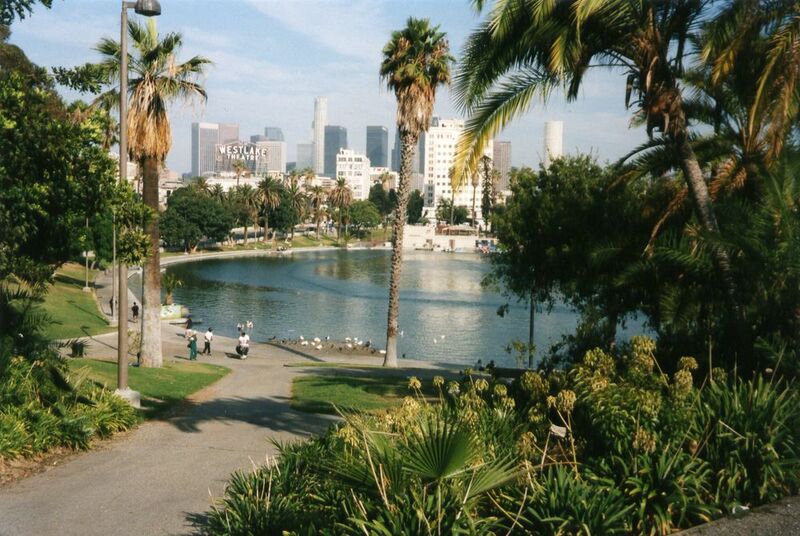 MacArthur Park in Los Angeles, site of opening night of Ambulante California, September 21. Other venues include Orange County at El Centro Cultural de Mexico in Santa Ana; and Wilmington Waterfront Park, which is a fantastic park that overlooks the Long Beach Harbor. We are also going to have a screening at the Stanford Avalon Community Garden in Watts, and in the parking lot of the Vision Theatre in Leimert Park Village, to name just a few. We're having a couple of screenings at USC School of Cinematic Arts, which is probably our most traditional venue, and we're doing a panel with the Los Angeles Central Library as part of their ALOUD series. Two of our films—Yakona and The Exiles—have to do with indigenous themes so we're going to have a conversation the night before we screen those two movies. From Kent MacKenzie's The Exiles. Keeping in mind the screenings will be in a different community each night, what was the programmatic philosophy behind choosing the films? We wanted to take the "multiculture" social fabric here in LA and whenever possible organically curate to each community audience. Our objective was to be specific, yet "California-based." It's powerful to show a reflection of a culture. It's also compelling to see something on screen that may not have anything to do with your life or your culture but in listening to or watching it, you actually discover commonalities. 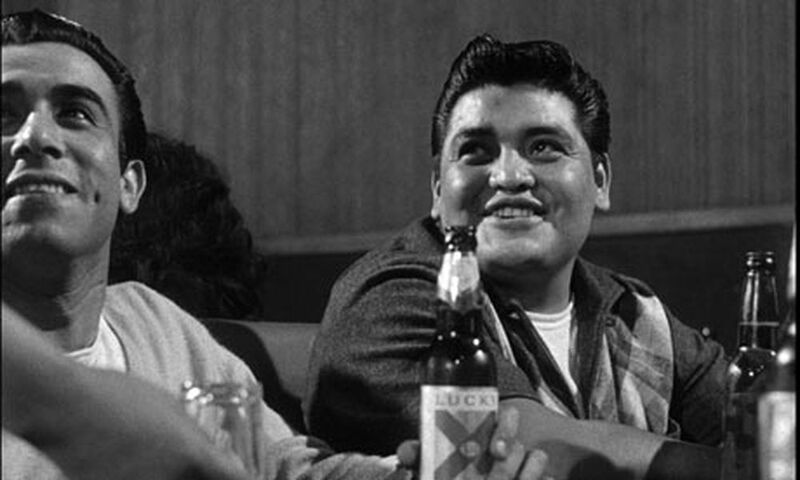 Spanish-language films were also important for us, knowing there is a large Spanish-speaking population here in Los Angeles. About half the films we are screening are Spanish-language films: feature films and some shorts from Mexico, Argentina and Spain. Ambulante has an archive of amazing films that are both classic and experimental Mexican documentaries as well as international films. What are some of the films that you'll be screening to local communities? For example, Bronx Obama is our opening night film. That will be on Sunday, September 21, in Macarthur Park. 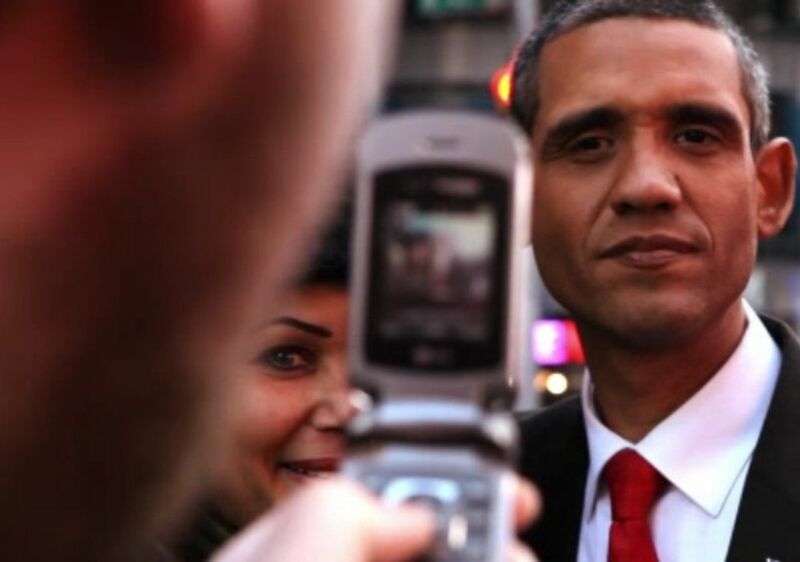 We are going to have both the filmmaker, Ryan Murdoch, and Louis Ortiz, who is the Obama impersonator in the film. From Ryan Murdoch's Bronx Obama. This will be preceded by a really beautiful short film called Ink and Paper, about a local printing press right in the Macarthur Park area. It's one of these stories in which you have a family-owned, generation-to-generation business. They use a printing press that is about 600 years old, and now they are just scraping by. They offer something really unique and yet they are trying to marry new technology with nostalgia for the way it used to be done. We're going to have the family at the screening—and that will kick off the tour. Working with individual communities is an essential aspect of the Ambulante model. How did you go about building community partnerships in Los Angeles? I came on in this role about a year ago and the first thing we did was reach out to the mayor's office, which helped open up a lot of doors. They really liked the idea of a festival that was going to travel to the many different enclaves and communities of the LA metropolitan sprawl. The mayor's office was really helpful in telling us which districts to reach out to. We took a very old-fashioned, grassroots approach, starting with calling districts and contacting the neighborhood council, scouting, being there, seeing how a community works and talking to people from that community. It's a very multi-faceted kind of approach with civic and community leaders and local businesses. Also, there's a very vibrant, nonprofit/activist/social service industry here, which is really important. Whether it's people who are converting vacant lots into spaces or centers that offer all these wonderful services to lower income immigrant populations, it was just really figuring out how to get into that whole network. What are some of the nonprofits you are partnering with? I'm really excited to partner up with From Lot to Spot. They are a nonprofit that converts vacant lots into green space. From Lot to Spot reached out to us as soon as we announced the festival. They understood how we can work together to recuperate and revitalize public spaces and to program cinema in spaces that are typically not available. 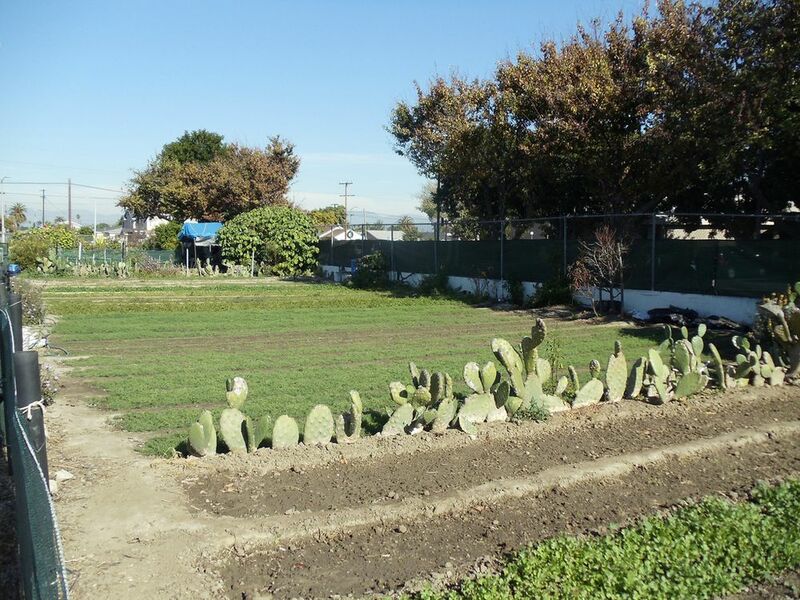 We are going to show Three Voices, a beautiful Mexican documentary, to the people who have those little parcels of land at the Stanford Avalon Community Garden in Watts. What are you hoping for the first year of Ambulante California? Audiences! For me it's as simple as seeing community members actually show up, give us a try and have them anticipate more screenings in the future. I really hope that we are able to penetrate these communities. I really hope that we are able to penetrate these communities and introduce ourselves as year-round collaborators, not just an in-and-out kind of festival. This is like a first dance. We have already been embraced by our community partners and now we need to deliver a film experience with the filmmakers—for free. What is your vision for the future of Ambulante north of the border? We want to expand it all over California, not just the greater LA area. We want to be able to go to different cities and states. We've already had a lot of interest—and people reach out to us—from San Diego, San Francisco, Sacramento and Fresno. At some point we're also thinking about Texas, Illinois, New York, Arizona, New Mexico. Having experienced Ambulante in Mexico, I'm so excited to have it be born here. It's been really fulfilling for me to be at the intersection between community and film, and to see how interdisciplinary it can all be. There is something so magical about seeing all these faces captivated by a documentary. If we really focus on each community, I think we will be able to convey something a lot bigger than those communities. For a complete schedule of Ambulante California, click here. For a complete list of documentaries with synopsis, click here.